The ultimate in versatility and style with its reversible design, Sportin' Scarves are the perfect go-to accessory for any season. Get ready to stay warm, be cool and look fly while wrapped in the soft hand of 100% viscose. These scarves offer the perfect premium blend of comfort, quality, and fun, woven?with your favorite team logo. 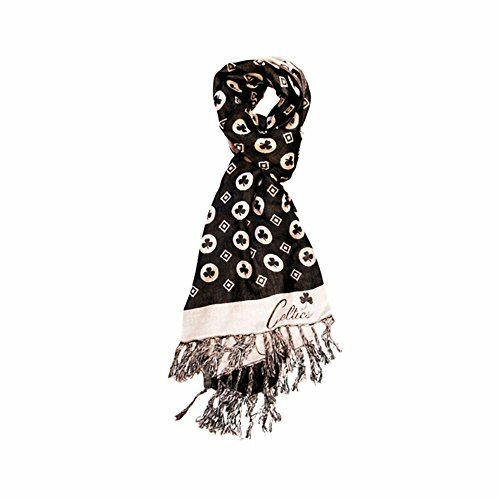 This 28"x75" unisex scarf can be worn by both fashionistas and sports enthusiasts alike and complement any look to dress up or down. It's the perfect way to show one's team spirit while flaunting your own personal style. Available in a variety of fashionable designs for your favorite Team. Perfect way to show one's team spirit while flaunting your own personal style.